Work for Citrix Secure Web Gateway? Learning about Citrix Secure Web Gateway? "Ideal for Remote Students and Businesses"
Easy and unlimited options for remote software use, communication, and accessing cloud based tools on the go. Used Citrix Gateway for over 5 years extensively as a student and highly recommend for all remote software applications. Considering slower data speeds a few years ago, Citrix was well designed to maintain a good connection thru DSL internet speeds. Awkward installation and silly long time to setup and get started using application. Infrequent issues with connections. Continual risk of losing data and even though frequent saves always a chance things will regress and end up with wasted time and work having to do it over again. Ideal system for remote software access. Remote connections and communication, a huge benefit as a student. Not as much anymore with many free cloud based applications but spent many good hours on Citrix and my university programs. citrix has been an easy tool for users connect to remote desktops. It is fast and generally stable when connected. as a web gateway, this application works as it says, and there is nothing that I particularly dislike. 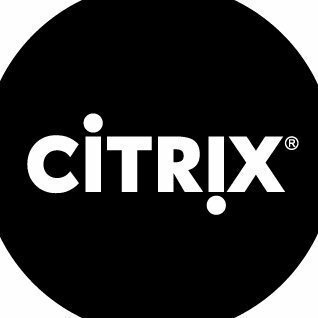 we use Citrix to connect to remote desktop where a lot of software subscribed by the institution can be used remotely. It brings the flexibility if we have work on certain software remotely. "Great for Security and Compliance"
I like the fact that we are able to offer security to both employees working within our office and those who work remotely. There were concerns over network vulnerabilities for those who work remotely and we were able to resolve the issue by using Citrix Secure Web Gateway. This may be user error but I don't love how it starts automatically on even my home computer when I start up. There are times I do not want to be using the program such as when I am using my personal computer for personal uses and don't want my information visible in the performance oversight. The biggest issue was making sure that employees were on a secure network no matter where they were working from (in the office, at home or on the road). We needed to be sure that everyone had the same level of protection no matter where they were. I enjoy that I can access a lot of my work stuff from a remote location, that way if I have questions about something I need to review for the next shift, I'm able to get to it without having to leave home. It seems to be pretty glitchy. It like to stop working randomly and then I have had to practically restart the entire OS to get it to reboot correctly. Be sure that there is proper training on how to access all of the parts of this software. Without proper training, not just someone who uses it and doesn't know the tricks but also not your local IT guy who has no idea how to teach in a comprehensible way, this software can be over and underwhelming. I just use it for everything, mail, documents, charts, etc. "Difficult to get the hang of"
I like that there is a dedicated staff to answer calls and customer service - this is very helpful, they are usually able to fix issues on the spot. Citrix works fine on my Mac, too. There is a lot of redundancy when I'm trying to open an application - I have to log in like 3 times for it to 'go through' and verify myself. It's encrypted, so we use it for PHI-related applications and working from home. "Citrix for working outside the office"
I'm very rarely in my actual office building. I love that Citrix allows me to access cloud based programs my company uses and run secure programs off-site. I couldn't effectively do my job if I didn't have it. This may just be a problem with my company, but I hate that I have to download and run a program every time I need to use it. Like I said earlier, I don't have to physically be in my office to access secure programs. "Citrix allows for both virtual desktop and remote applications"
I like the fact that it provides a easy way to get user behavior information but securely. I dislike that the company uses the application to block certain websites. The application also restricted certain users from accessing certain programs. The benefits are that it blocks us from attacks to our server or customers private information. So it protects both employees and customers. "Allows me to work from anywhere." It allows me to work from home or off site securely. I am able to access everything I need to do my work. In order for it to be secure, you need to use an authenticator with it. Being able to access all programs from work anywhere in minutes. A lot of our staff need the flexibility of working from home or off site. This software allows us to do so in a very secure way. "Protect Your Company Webspace and infrastructure "
Idling/re-active user session transition is somewhat of a lag. Seems to be a delay from server response to user enrollment depending on inactivity rates. Limiting/restricting internet access. Increasing http security/port detection. User policy rollouts. I like that when I log in or out I know my private work/information is secured and no stress of the possibility of anyone logging in. I don’t like that sometimes when the internet connection is weak or not as strongly connected that there can be a lag between what I’m trying to do and what’s getting transmitted to the program. I am able to inspect encrypted packets that are trying to intrude into the enterprise network. "Single Sign On Remote access Solution"
I like the fact that citrix Gateway combines the remote access infrastructure to provide single sign-on across all applications that resides in a data center or a SaaS solution. It allows the employees to access any app, from any device, through a single URL. That it is not and iRules and devcentral friendly. Solutions such as F5 have a slightly better edge because of this reason. The faster 2048 bit SSL provides the best response with minimal wait time. "I guess it works? " I think a more sophisticated user would have a lot more to say. I guess it works? "Easy to Use Great Product"
I like that this product is easy to use and can be set up quickly. I LOVE that it uses a local cache and a cloud-based service, and I ALSO LOVE the speed. It attacks like up to 10 times FASTER. So far, I have no dislikes at this time. I have realized that Citrix Secure Web Gateway IS IN FACT SECURE!!! !I have suggested it to several of my friends and associates. The dislike I would share would be that it could offer sso or have it set up more secure. "Citrix, nothing to worry about"
Ease of use and Customer Support. They have built a great product and know how to support it. I do not like how sometimes it takes a long time for Support to get back with me. Website load speed of downloading fits both categories here. "Citrix is the best in Security!" The ease of use and ability to badge in and out rapidly to improve patient care and quality of real time documentation. I like the safety and security’s citrix utilizes for its products. I can badge in and out, at a rapid pace, to better patient care and real time documentation. I use Citrix in order to access certain web apps. It is a hassle accessing apps once Citrix updates. I have so much trouble getting into the program and often need technical support. I use Citrix to access my Payroll and Benefit programs. The east of use. The abillity to get my apps as icons without having to install each one on my computer. It can be buggy at times. There have been issues with compatibility with the OS version. I have used the Citrix program for remote users and it always gave me frustrations. My client uses this product for their remote users. I don't see any benefits. It is simple to use and fairly basic enough to use. * We monitor all Citrix Secure Web Gateway reviews to prevent fraudulent reviews and keep review quality high. We do not post reviews by company employees or direct competitors. Validated reviews require the user to submit a screenshot of the product containing their user ID, in order to verify a user is an actual user of the product. Hi there! Are you looking to implement a solution like Citrix Secure Web Gateway?